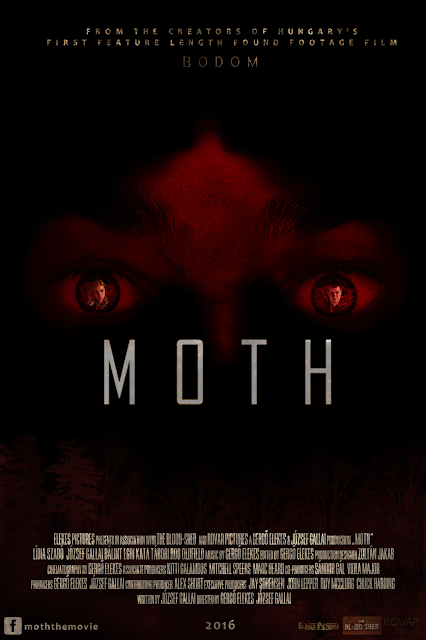 Moth is a found footage horror that is the next film of Jozsef Gallai and Gergo Elekes whose previous film Bodom was also in the found footage genre. I previously covered this in April of 2015 here, and later in October here. For me the found footage genre is so stagnant that I find it hard to muster up much enthusiasm when watching them, however Bodom while flawed wasn't terrible and so hoped the weaknesses of that one would be built on for Moth. Bodom was in Hungarian with English subtitles but this time around the characters speak in English, though both have thick foreign accents (neither originally come from the UK). For the most part they are easy to understand, initially it took me a bit to get used to their way of talking but once I did I never had a problem. Thora comes across as a bit silly, she seems unprepared for the trip and most of what happens is directly her fault. Adam is the more interesting of the two but also far more unlikeable, he is secretive and miserable and is very rude towards Thora at times, frequently throwing insults at her for no real good reason, he flips so much that I wondered if his character was meant to have a mood disorder, there is certainly evidence for this. He was a weird character but was portrayed that way, there is a heart to heart moment between the two that while it felt a bit forced I actually found to be the most emotionally engaging part of Moth with Adam having a great monologue that goes some way to explaining him as a person. There is no chemistry at all between the two but there is no reason for there to be, the awkwardness they share is fitting for people who barely know each other. 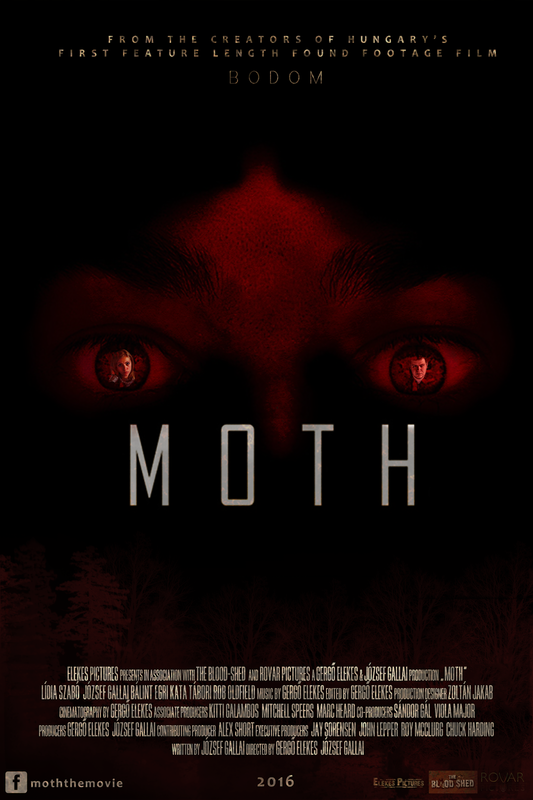 For those expecting something new in the found footage genre they will be quite disappointed here, the majority of Moth is as cliche ridden as it gets with mysterious noises, unexplained sightings and a character who wont stop filming for no good reason at all. Half of the movie is the two driving around lost in the Hungarian countryside, it is almost funny how lost they manage to get, I found myself wondering why they didn't have a Sat Nav or something and while I could emphasise with getting lost in countryside (I had a similar harrowing experience late last year for a good forty minutes) it didn't make for a tense or horror filled experience, at least there was some good scenery to look at, and there is a genuine sense of unnatural isolation that is well crafted. Eventually they even manage to loose their car and so begins the most derivative part of the film in which Moth becomes almost a remake of The Blair Witch Project with the two lost in woodland whilst stumbling across bizarre man made objects, getting exterior tent attacks by unknowns and eventually stumbling across a creepy old house. It is all done fine enough, there are even a few moments where I felt a bit uneasy but there just is not enough going on in Moth to keep my attention, it's telling that at the forty minute mark I had to put the film on pause and go do other stuff so that I could return for the second half more alert. The Mothman lore is an interesting topic so it's a shame that after the intro this lore is virtually never mentioned again, it was more an excuse to get the characters to the location the film needed them to be at than a reason for the terror that unfolds. Most of what I have written so far is null and void once the very interesting reveal comes into play, I really can't say what as it would ruin the film, the email that Jozsef sent me even requests to avoid any spoilers, needless to say it is really quite clever and puts Moth into a whole new light for me, making me question pretty much everything I had seen. 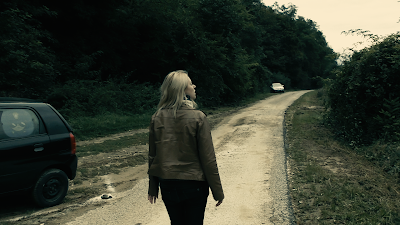 On the basis of the film up to the finale it is pretty average, cribbing far too much from found footage horrors that have come before, people wandering (or in this case driving) around lost while hearing strange noises is just not very exciting. 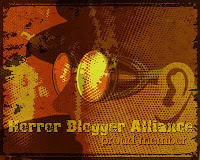 With the finale comes a sudden appreciation for the film as a whole, it really is quite quite interesting and explains away a lot of the issues I had. Beyond the finale and closing the film is a fantastic final few seconds of expert fear making that gave me goosebumps, that it wasn't a jump scare I really appreciated, and on the subject of the ending the song that plays over the end credits is really good, making up for the fact that as a found footage movie there is of course no soundtrack at all. Moth is a difficult horror to review, on the one hand it has it's fair share of recycled ideas and rarely scares, but on the other side it almost deconstructs the genre in the intriguing way it plays out and makes you think.